The Inca Trail is certainly the most famous of all the long-distance hiking routes in South America. It provides an interesting and beautiful route from the city of Cusco up to the lost city of Machu Picchu. The Inca people first laid down this rocky route centuries ago, and it passes through beautiful mountain scenery and often opens up to spectacular views. Most people may find some discomfort that comes with the high altitude, but this is repaid by the final day's walk into Machu Picchu. This unique route is one of the most exclusive in the world, with only 500 people per day allowed during the season. There are very few people that can claim to have walked this trail in full, but it is one that truly opens up the majesty and the epic surroundings of the Patagonian Andes to visitors. Encountering local shepherds and the occasional farmer, this is a route that covers nearly a thousand miles, and is truly amazing. One interesting point is that the route also offers the option of using a small raft that can be carried to cover some of the lake and river crossings. 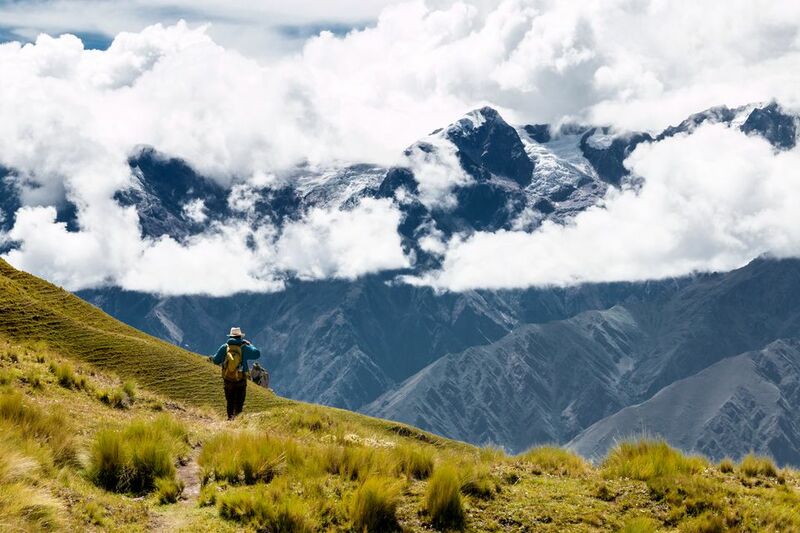 This is Bolivia's best known and most popular long-distance hiking route, circling the third highest peak in the country and taking in some of the most remote and untouched land. The route rises to over 5,000 meters above sea level, so it is certainly worth putting time aside for acclimatization along the way and hiring a local guide to help you navigate. This iconic route is normally completed in four days, taking hikers by the magnificent tooth-like peaks of the Torres del Paine. The terrain ranges from barren dusty paths down to those that get a little moister and involve walking through lovely woodland groves. You can either choose to camp or use the lodges for your accommodation. Colombia often conjures the image of rainforests and beaches, but this route reveals a very different aspect of the country, in the high mountains of the El Cocuy National Park. There are snow-capped peaks to be seen here throughout the year, with the high season between December and February. Superb scenery abounds, and there are several alpine passes to traverse before you drop into a beautiful valley with some stunning lakes. The most unique part of this area is the distinctive steep cliffs and flat tops of the mountains, which makes for particularly dramatic views and some beautiful hiking trails. The climb up the hairpins up the cliffs can be quite tiring, but once you reach the top, the effort becomes well worth the work.